THIS PAGE IS DEDICATED TO RE-HOMED ANIMALS. and given them a second chance of happiness. Please keep sending those updates and pictures - we're always pleased to hear from you. You can share, comment, Like or send us updates. Looking forward to seeing you there as this page on our website will no longer be updated. 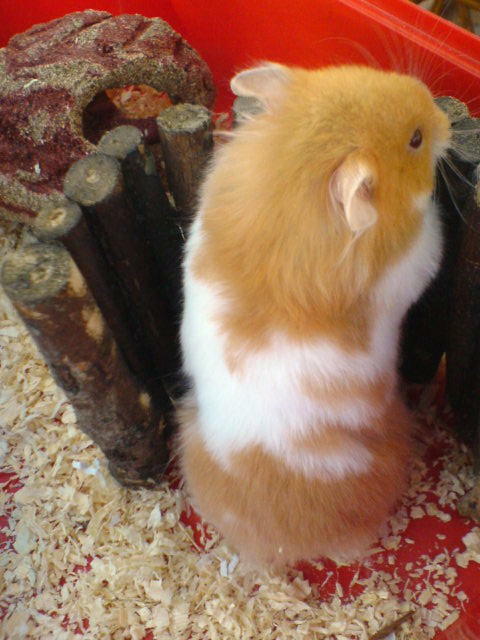 Neutered Male bonded and rehomed with Sally's female guinea pig - POPPY. Bonded and rehomed with Elaine's bunny - COLIN. Bonded and rehomed with Annie. Home is a 10ft x 6ft shed (with heating for the colder months). A night vision security camera is also installed so that Tina and her family can see what the bunnies get up to at night. The shed is divided into a bedroom area which is 6ft x 4ft with small mesh window for light and air. Humans have acces via 2 full height doors that are fitted with secure bolts. The rabbits also enjoy supervised time out free ranging in the securely fenced garden. FLORRIE and LOUIS have featured in our Calendar, and range of Greetings Cards. Home is a 6ft Double Decker Hutch attached to a 6ft x 8ft run. They also enjoy supervised time out free ranging in the securely fenced garden. and was scared witless after constantly being attacked by his cage mates. We didn't think he would make it. but remains forever in the hearts of those she left behind. JOSH, STUART and LARRY have featured in our Calendar, and range of Greetings Cards. BOB and DAVE have featured in our Calendar, and range of Greetings Cards. COCO has featured in our Calendar, and range of Greetings Cards. RAFIKI has featured in our Calendar, and range of Greetings Cards. Bonded with two girlfriends - DIZZEE and SPARKLE. but remain forever in the hearts of those they left behind. Kenny now has two new friends to keep him company and we hope to have more pictures soon. KENNY has featured in our Calendar, and range of Greetings Cards. 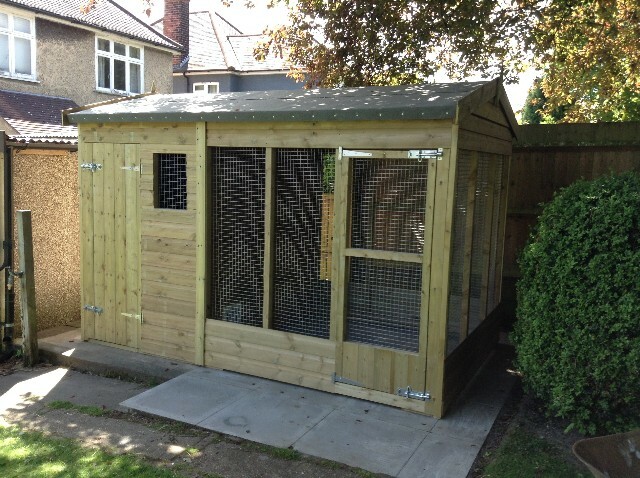 Home is a 5ft Double Decker Hutch attached to an 8ft x 8ft run by means of a runaround tube. Joined two new piggy pals to form a charming little group. SULTAN and MAD MARY have featured in our Calendar, and range of Greetings Cards. Bonded with their neutered male GIBBS - handsome ginger agouti piggy. Bonded with their neutered male TWINKLE SAM - handsome black and ginger piggy. Sadly Twinkle Sam passed away recently - but will remain forever in the hearts he left behind. Bonded with their neutered female rabbit - Apple. FREDDIE has featured in our Calendar, and range of Greetings Cards. Bonded with neutered female rabbit - Blossom. BLOSSOM and BLUEBELL have featured in our Calendar, and range of Greetings Cards. DEXTER has featured in our Calendar, and range of Greetings Cards. Albert sadly passed away recently but remains forever in our hearts. ALBERT has featured in our Calendar, and range of Greetings Cards. Apart from enjoying a cuppa ! MICKEY has featured in our Calendar, and range of Greetings Cards. Bonded with Emma's neutered female rabbit - Lola. RORY has featured in our Calendar, and range of Greetings Cards. BUZZ and WOODY have featured in our Calendar, and range of Greetings Cards. BEN and JERRY have featured in our Calendar, and range of Greetings Cards. and required hand rearing as mum had rejected her. We didn't think she would make it. ENDY has featured in our Calendar, and range of Greetings Cards. 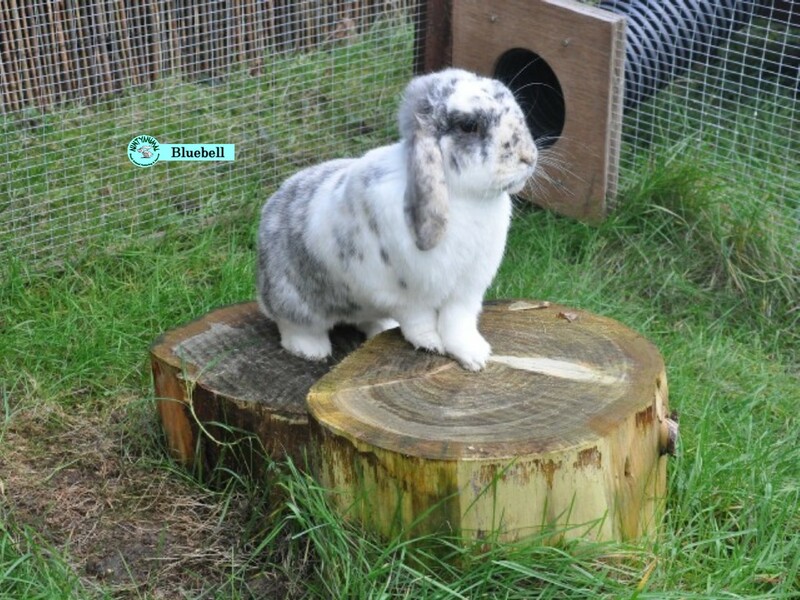 MOPSY sadly passed away but will remain forever in the hearts of those she left behind. MOPSY and SNOWY featured in our Calendar, and range of Greetings Cards. Neutered and bonded with their beautiful female guinea pig Maple. Maple sadly passed away but remains forever in the hearts of those she left behind. WIGGY and MAPLE featured in our Calendar, and range of Xmas Cards. Bonded with Oreo - their giant Rex guinea pig. We have a number of animals staying with us long-term because they cannot be re-homed due to old age or they have special requirements. We do not give up on animals just because they have problems - we provide them with the long term care they need.